What’s the deal with BEE Friendly? The Los Altos Hills Pathways run always includes fun theme and logo graphics that is centered around a local item (such as wild flowers) or valuable causes (owl houses) and this year it is awareness of the importance of the concept of “BEE Friendly”. Bees and pollinators are much more important in our lives than just honey. Food experts say that 1 in 3 bytes of food is available to humans because of bees and other pollinators. Without them, 1/3 of our food items would not be available. Bees are in big decline world wide by big numbers. The total number of US managed honey bee colonies has decreased from 5 million in the 1940s to only 2.5 million today. At the same time, the call for hives to provide pollination services has continued to increase. This means honey bee colonies are being transported over longer distances than ever before. Probably one of the most effective things individuals can do to help promote local bees to survive is to plant native plants for native pollinators. 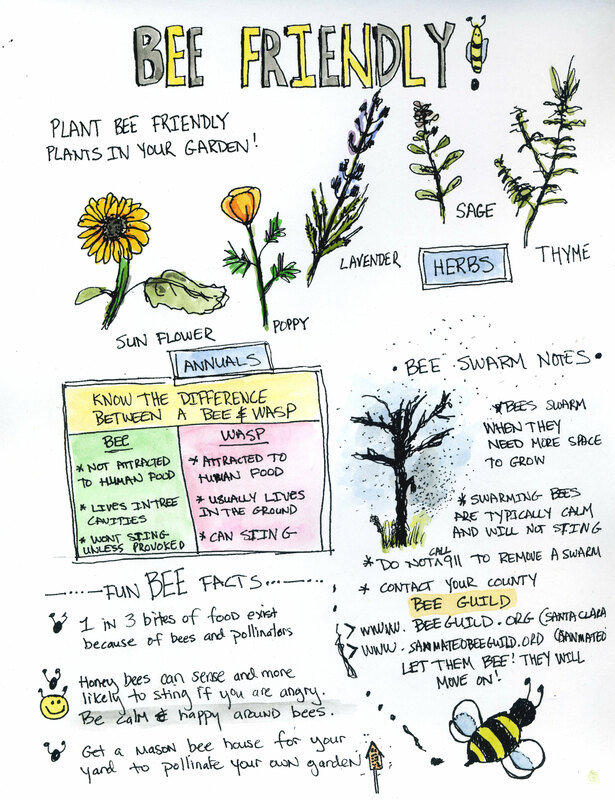 Here are some websites with information on native planting options and other best practices for being BEE friendly. So BEE friendly to our bees!